Gawd, some people (read: me) are just never happy. One minute I am moaning on about Dolly Would’s rather tortured journey into being [read the post here] … but now the script is finished and recorded, I find myself missing it – moping around, not sure what to do with the Dolly-shaped hole in my schedule. What would Dolly do? Probably not try to fill the hole with cake. But heck, I like cake! I’ve been prepared for this eventuality, mind you. The play has been part of my life for such a long time, to now not have it will take a little getting used to. 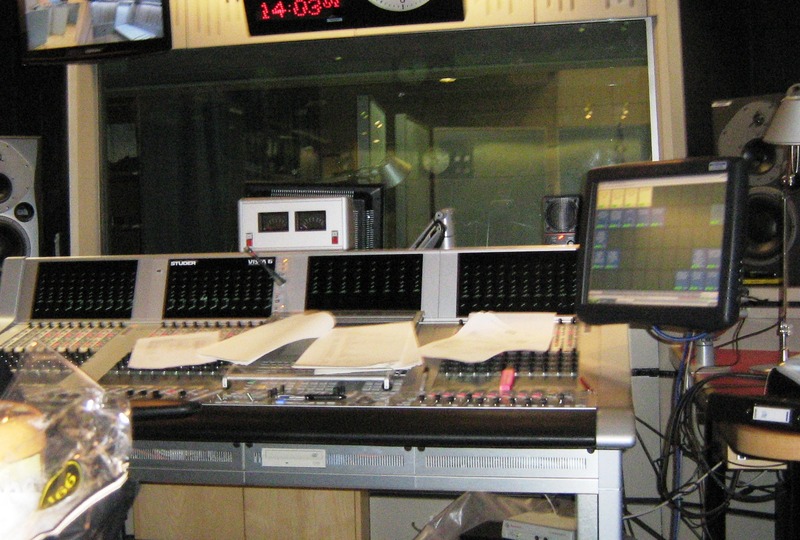 We recorded at BBC Broadcasting House last week. 18 hours to record 45 minutes worth of drama might sound like a lot, but in the grand scheme of things it was nothing. Five years since I had the original glimmer of the idea; working on the radio commission since January – when I look back at my 2011 Wall Chart (yes I have a Wall Chart, what of it) it is peppered with pink highlighter pen signalling the various Dolly deadlines throughout the year. There were times when I thought the damned thing would never end, when I could quite happily have thrown my Dolly CDs out the window and never wanted to hear 9 to 5 ever ever again. But I didn’t throw anything out of any windows, and in fact yesterday when I was in a shop and they started playing Dolly’s Together You & I, I found myself singing and jigging along before remembering I was out in public! When all is said and done, I worked bloomin’ blinkin’ hard and was able to hand in a script I was proud of and had (overall!) enjoyed writing. That’s not to say I think it’s perfect, but for my first radio drama – learning a new medium on the job – I feel hopeful that I have delivered something entertaining and true to my ‘voice’ as a writer. The two days recording were quite an eye-opener. Director James assembled a great cast, led by Sharon Percy as Denize, Lee Ross as Martin and Libby Davison as Joanne. The play is being edited over the next couple of weeks, with a confirmed broadcast date of Wednesday 4 January. And so we’re back to never being happy because on the one hand, I cannot wait. Christmas has turned into an inconvenience, something getting in the way of the big day! On the other, though, I am trying not to wish the weeks away. Not least because it’s Christmas and I like this time of year, but also because once it’s broadcast, that really is it. Of course, that won’t stop me talking about it. On and on and on and on and on, long into the New Year …. Dolly would. Dolly will. Dolly is. NOT LONG NOW. Can’t wait! !